Super Era Black Need Help? Super Era Black is an innovative model that features a distinctive brow piece made entirely out of black and silver Zeiss lenses which have been riveted to create a sturdy structure. 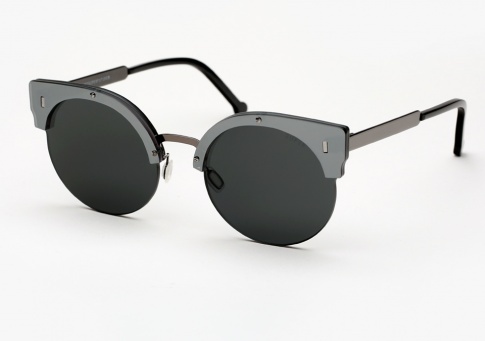 To add further resilience to the frame, the brand’s designers have added a metal bridge and arms.